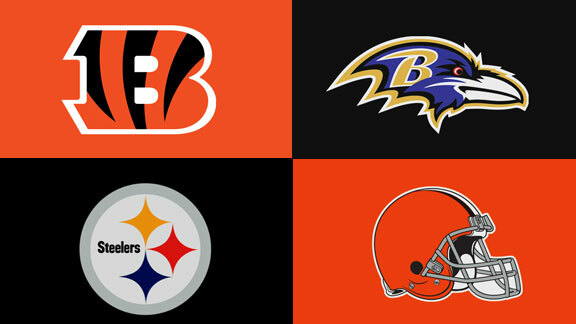 A week into free agency, the movement around the league has certainly slowed down in terms of day to day activity, but that doesn’t mean that the AFC North has been silent, with some signings and visits to report on. Starting with the Pittsburgh Steelers, the defending division champions have spent the past two days hosting free agent cornerbacks. On Monday, they played host to Patrick Robinson, a former first-round draft pick, but he came and went without signing a contract. Yesterday, the front office was scheduled to meet with Sterling Moore, who most recently played for the Cowboys before Dallas declined to tender him a restricted free agent offer. It appears that he, too, visited the city without coming to terms on a deal, and he is expected to meet with San Francisco today. Whether or not either of these players sign with the Steelers in the future remains to be seen, but for the time being, they have other teams to visit. Perhaps after establishing a market they will come back to Pittsburgh, though it generally has not been a good indication for a future signing when a player leaves the South Side. The Baltimore Ravens, who were the only one of three AFC North playoff teams from 2014 to win a postseason game, came to terms with two of their own low-priority free agents on Tuesday. Among them is their long snapper, Morgan Cox, which is actually a fairly notable signing given the Ravens’ quality special teams units with their kicker and punter. It’s always beneficial to maintain a relationship between snapper and punter, as well as snapper, holder, and place kicker. The other signing was for 25-year-old defensive lineman Christo Bilukidi, who only played just under 50 snaps for the Ravens last year. Bilukidi was originally acquired by the Ravens off waivers from the Cincinnati Bengals in the final wave of roster cuts. The Bengals, meanwhile quiet once again on Tuesday, with no moves or known visits scheduled, nor any obvious interests. Their fellow Ohio team, the Cleveland Browns, have had more to report. The most interesting news to come out is that the Browns were reportedly the team that offered the Philadelphia Eagles a first-round draft pick in order to acquire quarterback Sam Bradford. The Browns just drafted Johnny Manziel in the first round last season and added quarterback Josh McCown this offseason. Bradford has been limited to seven games over the past two seasons due to injuries and will turn 28 in November. Clearly the Browns still recognize that quarterback is a position of need, but so too is the tight end position after they lost Jordan Cameron in free agency. The Browns were interested in Miami Dolphins tight end Charles Clay, who was signed to a transition tag, but it was the Buffalo Bills who made him an offer that he signed. The Dolphins must now decide if they want to let him go. Meanwhile, the Browns are awaiting word on the health status of Bengals free agent tight end Jermaine Gresham.